This entry was posted on Wednesday, October 19th, 2011 at 3:23 pm	and is filed under Uncategorized. You can follow any responses to this entry through the RSS 2.0 feed. You can skip to the end and leave a response. Pinging is currently not allowed. FYI – This post is showing just fine, Lindsee. Comment Identity blocks are all in order, the right side is normal. The home page was still the same. Thanks for all you do!! We appreciate it! Hug your neighbor’s anyway. If you scare them, you’ll have an excuse why you have to move south 🙂 I know how much you love the weather there! I’m telling you, you should try skiing. It totally changes how you feel about snow! I’ve tried snow skiing, I just MUCH prefer water skiing or jet skiing! I still feel the same way about snow – it’s fine to visit, but I don’t want to live in it. You can keep the layers and hot chocolate, I’ll take the warm beach any day! Okay! Water skiing and jet skiing are a little too fast for me. This is why I don’t downhill ski. I just feel like I don’t have enough control, to some extent I’m at the mercy of gravity. I really don’t like that. It took me a while to embrace the little slight downhills while cross-country skiing. I waited patiently for the Lord;he turned to me and heard my cry. He lifted me out of the slimy pit, out of the mud and mire;he sat my feet on a rock and gave me a firm place to stand. Goodness, Lindsee, they’re keeping you busy!! Great job! Loving the excitement that is building for the conference. 4 more scriptures to go. We can do it!!! I am BEYOND excited at all the media outlets you have gotten off of the ground! Will there be downloads available on the LifeWay page for the James study? I tried searching but didn’t have any luck. If not, any chance there will be in the future? Hi Annie, I’m not sure about that. But you might check the website again when the BIble study is released, which is Nov. 1. Also, you might call LifeWay or the Living Proof offices and they may know more. Thanks, sister! Guess what I bought to day at Lifeway in Oklahoma City, guess….BIBLE STUDY ON JAMES…oh, yeah! oh, yeah! I can hardly wait! James was there at the cross, He was Jesus’ brother and I know this study is going to be great. Melissa, added some really wonderful extras to the book as well. It’s not even November yet, so ladies go get your copy soon! while I enjoy reading a Beth Moore book! of God’s love__ that reaches out to so many. Wow, You are really rocking-out! Congrats! Looking forward to seeing it all! Love the FB page! As an aside, Marilyn, girl that was timely from you! I heard a Word from our Father in that post! Amen & thanks!! Thanks for the reminder that “face to face” is the best way to develop a relationship! Even in this “cyberspace” world. I do appreciate all of the “cyber-chat” that comes from Living Proof. It is an encouragement to a weary soul, brings a smile to a “frowny” face, and oftentimes causes an outright belly-laugh! 🙂 Even though we probably will never meet in this world, thank you Beth, Lindsee, K-Mac, and all of the others involved whose names I don’t know for your outreach to women. And, Beth, thanks for being REAL! Love getting the “twitter” accounts of the Moore family…helps me realize that my house isn’t the only wacky one! 🙂 Love you all, and praying daily for Living Proof Ministries. Tatia, the best part about facebook is you put out there what you want to put out there. You have complete control over information and privacy, which is a bonus. No pressure to join, though. That is totally up to you! Blessings, sister! You control how much information you share. Good rule of thumb – never put anything on facebook you wouldn’t want the whole world to see. Never put your birthday or personal contact information. You can create a fb account with your basic info – name, city, and your picture, that would allow you to connect with the people you choose. You can set your security settings so that people can search for you by name, but no one other than your friends can see anything else. Basically, view it as a tool for social interaction, but don’t trust it with anything valuable. I wanted to let you know how MANY times God has used you to touch my heart (your books have meant so much to me). I am currently being blessed by the study, “A Heart Like His” – I wish I could just do it continuously – over and over and over!!! God Bless you and your ministry and thank you for allowing God to use you for His glory! I’m not that familiar with navigating facebook, however, I wondered if you could create a space for all the unfortunate Siestas who can’t come to the final celebration of SSMTC. Maybe if there were enough in a town we could get together with each other instead. Just a thought. Hi, Nicole! I am so sorry you can’t be there. We will definitely see what we can do! Girl, I am lovin’ this!! I’ve been so inspired by y’all that I’m starting a Scripture Memory Blog for the ladies in our church!! SSMT has been such a blessing!!! Hoping to see you in January!! Thanks so much for all your hard work for us. We can see the fruit of it already. So fun to have a facebook page! You are right. The times, they are a changin’! Blessings to you. I’m so excited about the Celebration!! This group is scheduled to be archivedOver the next few months, Facebook will be archiving all groups created using the old groups format. Would you like to continue being a member of this group? Hi Patrice! Did you click on the link from this blog? There is an old LPM group I think, and that might be the one you’re talking about. Try clicking on it directly from here to see if you get a different message. Hope that helps! Southwest Airlines has some very reasonable air fares to Houston just through Thursday Oct. 20. You go girl!!! So thankful for you Lindsee! What a blessing you are to us. LPM is hip. Just sayin’. Thanks for your service to us…it is much appreciated! Hi Lindsee. You are doing such a great job at getting everything Social coordinated and functional. How much do I LOVE seeing LPM on Facebook?? Thank you for your great work. JUST a suggestion. Thank you ALL again for your accessibility to us Siestas and all the other women you minister to. Hi Ruth! That is a lot of lingo I am unfamiliar with, but am learning. Will definitely see what we can do! Thanks for the suggestion. Have a great Friday! You are a much needed addition to LPM! Your cheerfulness fits right in, but your knowledge and understanding of all things social fit right in as well. LPM has always strived to be “one” with all groups of females, but seriously lacked the social aspect of technology. Beth is the queen of social, so it has been surprising that the “social” side of LPM has not expanded technically with the younger generation’s passion for social media! Keep up the GREAT work Lendsee!! Love the additional pictures and videos….it is GREAT to see the “realism and reality” of this ministry! Guess what was delivered today…the James study and 50 workbooks! HALLELUJAH! I have been anxiously waiting. I know God will teach me many wonderful lessons through this study, and we will grow closer. I just know it! Thanks Beth and LPM! I am SO EXCITED! Awesome!! Keep up the great work, Lindsee! What a wonderful blessing of a job you have! I downloaded the James videos tonight. I am listening to session #1 and saw the pictures of Beth and her older sister…oh my goodness! The 3rd picture looks just like Amanda….I never noticed THAT much of a resemblance, but it is SO obvious! If you download the videos, make sure to download the Bonus 1….it is a treat!! Melissa and Beth are interviewed by Kelly Minter….Melissa is truly as gifted as her mom even though she probably doesn’t see herself this way! I look forward to seeing this study in the sessions and purchasing the book to see the insights Melissa has brought to this study. I have always liked her posts on the blog and look forward to her tidbits in this study. Sorry so Late on my verse.. Ephesians 4:2 Be completely humble and gentle,be patient,bearing with one another in love. Don’t have a lot of healthy face to face relationships in my itty bitty teeny weeny little world up here in Idaho. I have a couple of people I’m ministering to at the moment, but nobody that I can honestly say has ministered to me lately around here. If it weren’t for social media I wouldn’t even have enough left to minister to these other gals, cause I’d be in just as bad of shape as they are! I love you guys! Thank you so much, Beth, for keeping this blog! I know you talked about dropping it at one point. Connecting with other siestas in the social networking world is literally the only reason I’m still hanging on. Love Michele and so many others who’ve encouraged me off and on since last summer! So hard, and still have a lot of difficult things to work with, and at this point the only real counseling I’m getting is through a closed group on facebook that is run by a Christian Counselor. So glad someone noticed me struggling and invited me to join! So wonderful to have a safe place to share!!!! Didn’t see that SSMTC thing on your facebook page. Not really that good at these things, for someone who obviously spends a ton of time on them!!!! I’ll have to look at that. I hope I’m on the right page. I know there was an unofficial sort of “Beth Moore” fan page or something at one point. Pretty sure I’m not on that. 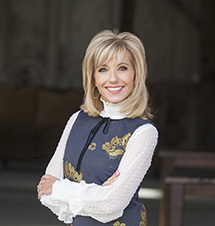 The Facebook page is “Living Proof Ministries with Beth Moore”. Once you get to that page, go to the left hand side of the page and click on Events. It will bring up the SSMTC event. I hope you will be able to attend. Sounds like you could use a good dose of “siestahood”! Sending cyber-hugs! Thanks. I got there through the link here. I’ll have to look for that “events” thing next time I’m on the page. I am coming! My family made huge sacrifices to make that possible for me, because my husband knows I’m desperate for some face-to-face with some truly supportive people!!! I’m so excited and ridiculously nervous at the same time. I’m sort of going blindly! I’m just counting on there being lots of taxis when I get there that know where the Omni is when I get there and none of them are like serial killers or anything since I’ll be all by myself. (I know. I watch too many crime scene shows!) I’m a small town girl, so that’s the only thing I really ever see of big cities like Houston, and I’ve heard big city is an understatement. City is Spokane, Washington to me, and BIG city is like Portland, Oregon, and those don’t even compare. This did not make me feel better at all. I’m pretty sure nothing is going to stay down for at least 24 hours before I leave. I don’t even want to talk about the way there or when I get there. I’m scared out of my ever-loving mind when I think about it, but I’m going. That’s how desperate I am!!!! Oh Shellie, I’m so glad that you are going to be able to be there. I myself am not. (Big frown.) But when I do get to go (fingers crossed there will be another opportunity) I will be traveling by myself too. It’s a little intimidating…..but I’d be willing to bet when you make a connecting flight, there be other siestas on that flight! Be sure to wear something to identify yourself as a Siesta! Like maybe have a t-shirt made….or it sounds like a pink boa or pink scarf would help others identify you. You shouldn’t have trouble finding a taxi, but there might also be a sort of shuttle or limo service that runs to the hotels. I’d check with the hotel to find the easiest or least expensive way. You’ll be fine Siesta! And it sounds like this is something you really need! Sorry I won’t be there to meet ya. Big hugs and good luck! Question for you regarding Siesta Celebration? For those of us who have not logged in but are now working diligently to memorize 20 verses…YIKES! Can we come to the celebration? I would not want to come and find out I’d broken the rules, that would just be awful. If the answer is no I will be sad, but understanding. Just committing the scriptures to memory are a great blessing, as you and our dear Siesta Mama and other Siesta’s know. Blessings to you! Hi, Mary! I’m so proud of you for working so hard at it! I’m going to ask you to document as many of your verses as you can since I made it a requirement from the first of the year. It wouldn’t be fair to the others if I let that slide too terribly much. It would take less than an hour to do nearly all of them. Log in as many as you can and there is grace for the rest. COME!!!! Please come! See you in January! I AM NOT A GIZMO GIRL!!! As I read your comments, all I kept thinking was there was way more work, then reward. I am happy for all who are pleased with the new technology, but I kept thinking who is going to have time to update all these sites. That will be a full time job all by itself! How can we be anything but patient – you poor girl are having to keep everyone and each system a ‘go’ and do your job too! Thank you for your dedication to getting all of us, your audience, in touch and together! I could be mistaken, but I think this is what Lindsee was hired for…..for all the social media stuff. She sure does have her hands full, though. But you know, she seems to LOVE it all! I know I sure appreciate all she does! 1 Corinthians 2:9~But as it is written: Eye has not seen, nor ear heard, Nor have entered into the heart of man the things which God has prepared for those who love Him. Agree!!! Social media is fun, useful, helpful, & efficient… but let’s not forget to hug and talk in person; that’s good stuff! Thanks for your encouragement! Yay!!! Looks like all the bugs have been squashed! Loving all the new connection opportunities. Thanks for the reminder. anyone that cares about their marriage or relationships should check out!!! Blessed is the man who walketh not in the counsel of the ungodly. Nor standeth in the way of sinners. Nor sitteth in the seat of the scornful. “Screwtape Letters” by CS Lewis…ever read these? You talk about something that will make you think…WOW! I started reading this book today and am already impressed by the impact it has….seeing things from the enemy’s perceived perspective has put me back in the world of reality at how he truly does work and desire humanity’s destruction. It is incredible and powerful….I would advise others to consider reading it. Romans 8:28!! There is POWER in scripture ladies!! Love you mama Beth! Thanks for this post and prayers going out to all my fellow siesta’s that God will GUARD your heart! I am hoping this comment gets to Melissa. I wanted her to know (she might already know)that the lady who does Fox channel morning anchor in Chicago looks just like her! —except the anchor lady is very pregnant right now! I do not even know the way I stopped up right here, but I thought this put up used to be good. I do not realize who you’re however certainly you are going to a famous blogger in the event you are not already. Cheers! This has absolutely nothing to do with this post! I need someone (Beth and all of you!) to tell me if practicing yoga is demonic?! I am a beginner and ran across Brooke Boon’s Holy Yoga. It looked amazing. Then, I read an opinion by the pastor at Mars Hill in Seattle who said anything to do with yoga is demonic. Can I have some scriptural based feedback please? Thank you so much. This is the first place I thought to go!